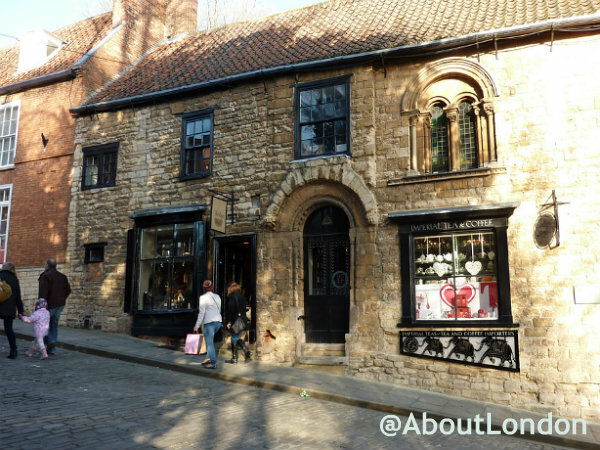 Lincoln has 2000 years of history and you can even see Roman remains in the city centre. There’s a castle, a cathedral and plenty more historic buildings, plus cute tea rooms, excellent restaurants and great shopping. It’s a city with a village feel. Start your time in Lincoln from the elevated site of Lincoln Castle where you can get a great view of the city from the castle walls. Constructed on the site of a Roman fort, Lincoln Castle was built a thousand years later by the Normans in 1068 and was here before the cathedral. As a fortress, the castle used its walls and gates to keep people out, and then to keep people in when it became a prison from 1199. 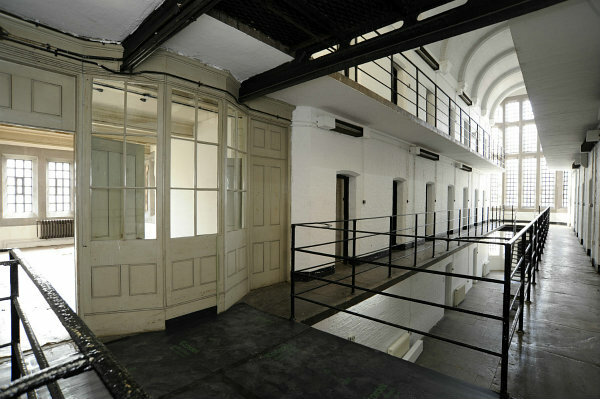 As well as a Victorian and Georgian prison building to see there’s also a working courthouse designed by Robert Smirke who was also the British Museum architect. These buildings are often used as filming locations, most recently for Call the Midwife and Downton Abbey. The Castle is nearing the end of a £22 million restoration project. 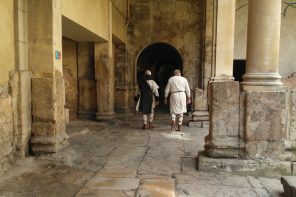 The project is to restore sections of the castle, plus a new vault/visitor centre in time to celebrate the Magna Carta’s 800th anniversary in 2015. King John was forced to sign the Magna Carta in 1215 as the first charter to guarantee human rights, albeit to a very limited number of citizens. Sadly, King John never intended to honour the principles of the document and war broke out a year later yet the Magna Carta has been described as The Birth Certificate of Democracy. There are only four copies left and Lincoln’s copy will be displayed next year. There are many more reasons to return to Lincoln Castle as there is a popular events calendar including talks, concerts, outdoor cinema and theatre, family activities, falconry, medieval jousting and haunted nights. And a new addition is the Heritage Skills Centre which has courses to learn traditional skills such as blacksmithing, medieval tile making, silversmithing and stone carving. 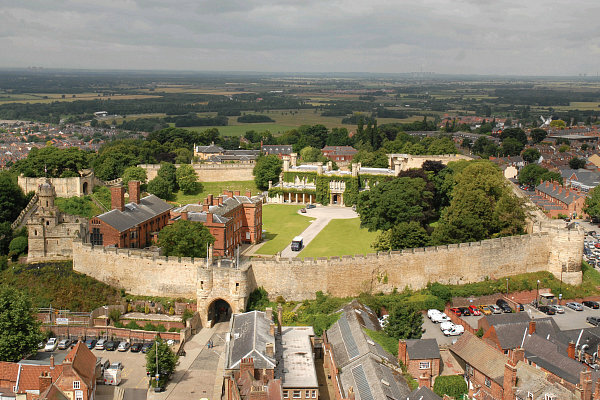 Lincoln Castle has a lot more going for it than just historic buildings. 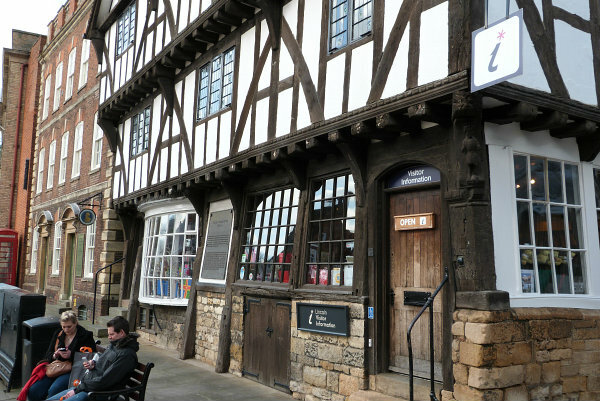 When you leave Lincoln Castle, pop into the Tourist Information Office: the Tudor building in Castle Square, at the top of Steep Hill. 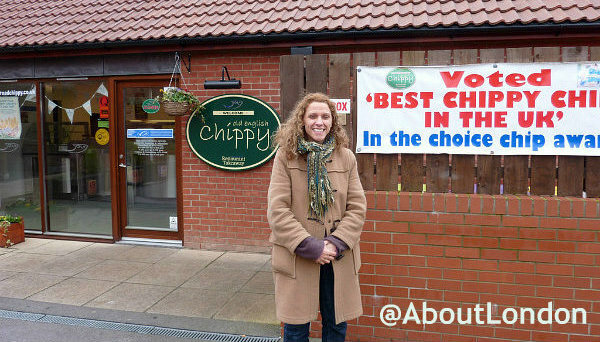 Burton Road Chippy was named the nation’s best fish and chip shop in February 2014, so this has to be the place to have lunch. It’s a 10-minute walk from the castle and you can choose to dine in or grab a takeaway. 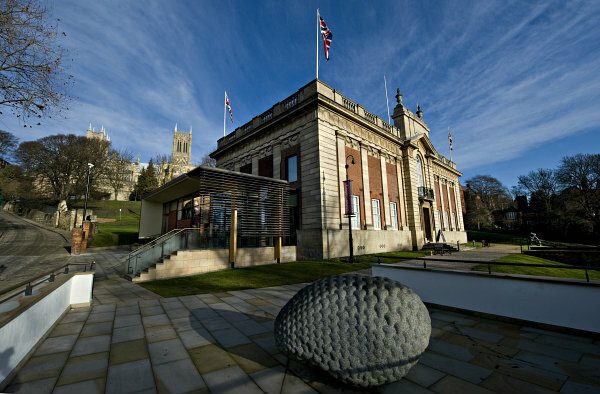 This social history museum has free entry and celebrates the history of the people of Lincolnshire. You’ll find old-fashioned shop displays and a military tank so it’s a pretty diverse collection. 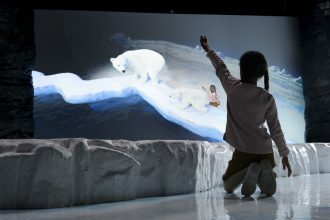 There are displays indoors and out and plenty of space for kids to have some fun too. 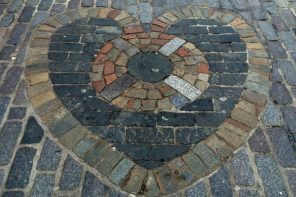 This cobbled street is lined with quirky shops and interesting buildings so there are plenty of excuses to stop regularly. Have a tea break at Bunty’s Tea Room where Matt and Jenny always greet you with a smile. 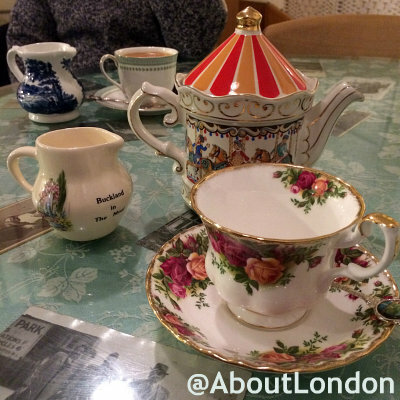 It’s a lovely step back in time with cheery wartime music and vintage mismatched crockery. The carousel teapots are quirky too. The homemade cake is rather superb and you’ll feel like you’ve been let in on a local’s secret here as it’s as popular with those living in Lincoln as it is with visitors. At 5.30pm, Monday to Saturday, you can enjoy Choral Evensong at Lincoln Cathedral. It’s always free to visit for a service and this is a wonderful introduction to the cathedral building. The service lasts for 20-30 minutes and is beautiful to listen to whatever your religious persuasion. 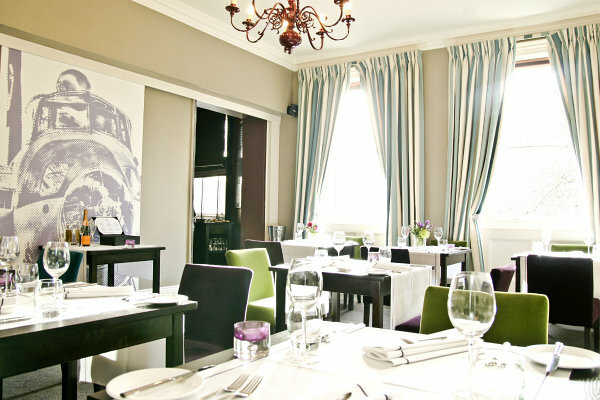 Overlooking the Cathedral is The Green Room at The Lincoln Hotel, the winner of the Select Lincolnshire Restaurant of the Year Award. An elegant restaurant with excellent staff who are happy to give recommendations from the menu. 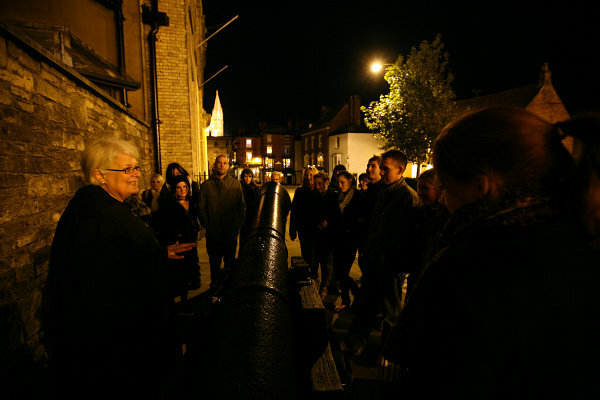 Lincoln Ghost Walks are on Wednesdays, Thursdays, Fridays and Saturdays starting at 7pm from Castle Square. You don’t need to book but just arrive 5 minutes before to join in the spooky tales around the city. The cathedral’s construction began in 1072 and Lincoln’s first bishop was Remegius, a monk from Normandy, who was the cousin of William the Conqueror. The cathedral was damaged by fire around 1140 and an earthquake in 1185. St Hugh was the Bishop who oversaw the rebuilding after the earthquake and was made a saint. 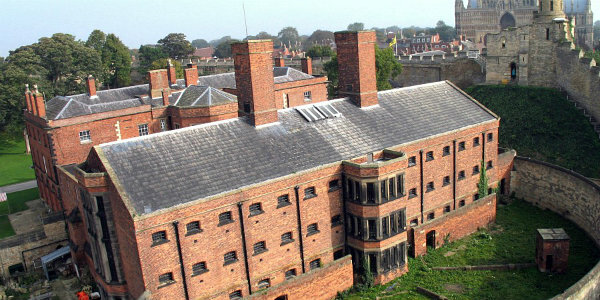 There are regular guided tours throughout the day at no extra charge, including roof tours. The Guides can point out all the quirky things you’ll miss otherwise so it is worth taking a tour. If the timing doesn’t work for you there are audio guides available too. It’s absolutely fine to take photos inside and it’s hard to take a bad shot in such a stunning building. Look out for Katherine Swynford’s tomb whose family line reaches to nearly every monarch in Europe and five US presidents. 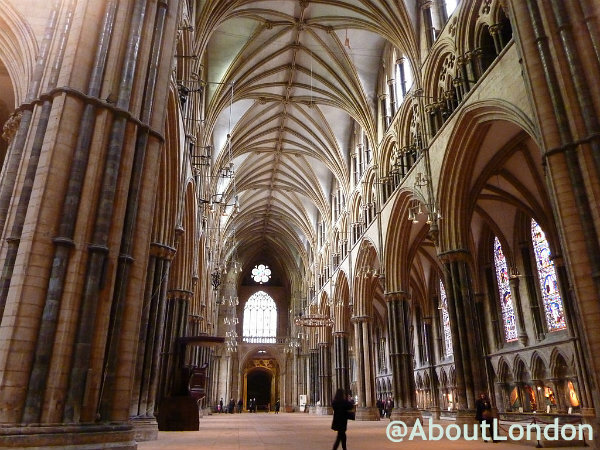 And definitely visit the Chapter House which was a filming location for The Da Vinci Code movie. 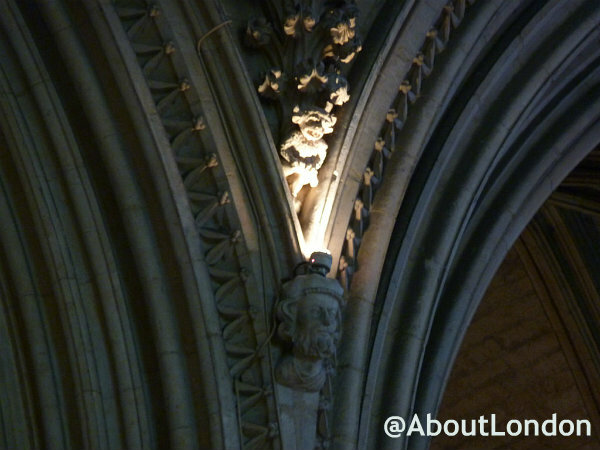 In the Angel Choir (St Hugh’s Choir) there’s the Lincoln Imp. If you can’t see him there’s a light (activated by a 20p coin) to help. Local jeweller, James Usher, was looking at the stone carving in the cathedral for design inspiration and spotted the imp so he may be responsible for the ‘legend’. He made his fortune selling imp tie pins and his family paid for the Usher Gallery in Lincoln (where you’ll be visiting after lunch). 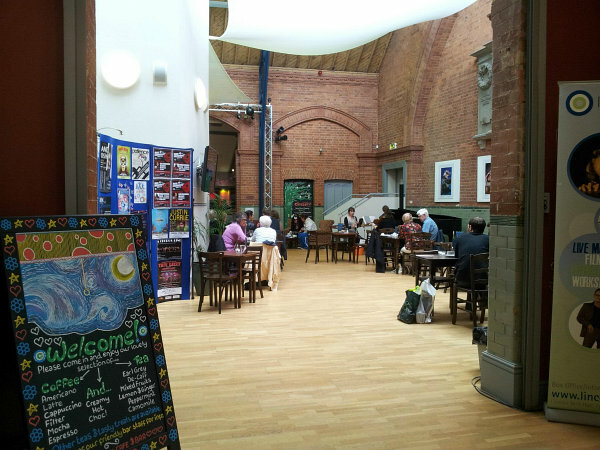 Lincoln isn’t short on places to eat and drink but I like the Drill Hall Cafe as it’s a large space with friendly staff. The meals are fresh and the welcome is always genuine. There’s free wifi and plenty of magazines and newspapers too. 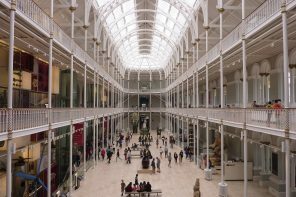 Founded from the profits of those imp tie pins, the Usher Gallery displays decorative and fine arts. 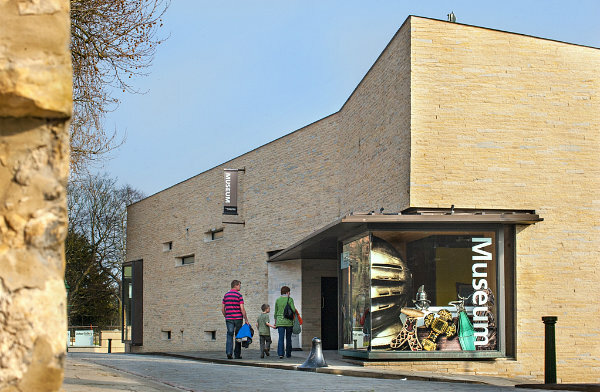 It’s a stunning building as well as having excellent exhibits, plus it’s free entry. Across the road is The Collection, which also has free entry. This is the archaeology museum with historic and contemporary art exhibitions too. Everything is displayed in an inventive way and it’s very family-friendly. 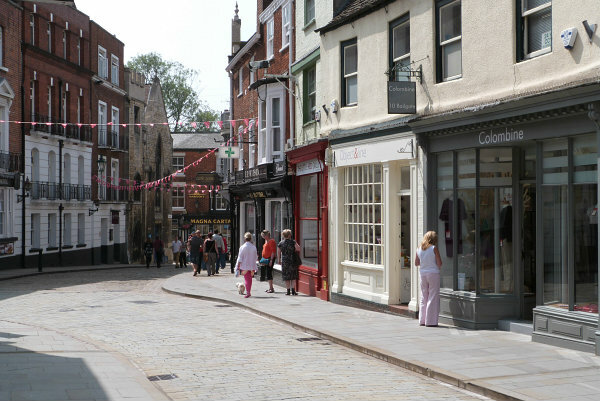 Now is the time to really explore Steep Hill and continue down to the High Street shops. 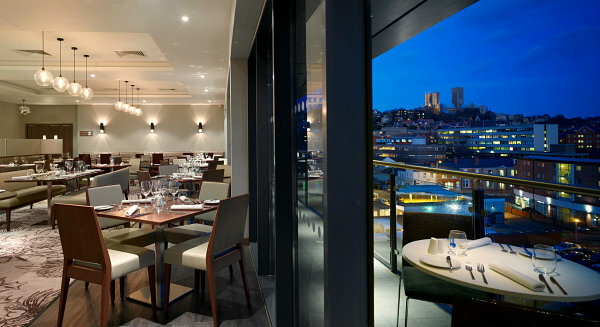 Take a stroll along the Brayford Waterfront where there are lots of restaurants but my tip is to head to the fifth floor of The Doubletree by Hilton to The Electric which has an incredible view of the cathedral – especially when it is lit up at night. The food is Modern British cuisine and is presented beautifully. 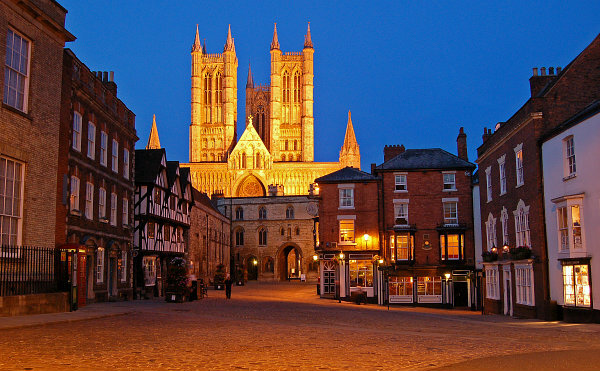 Get there: Lincoln is about 2 hours from London by train. See www.nationalrail.co.uk for times and tickets. Know your way: Download a city map in advance so you are ready to start exploring from the moment you arrive. 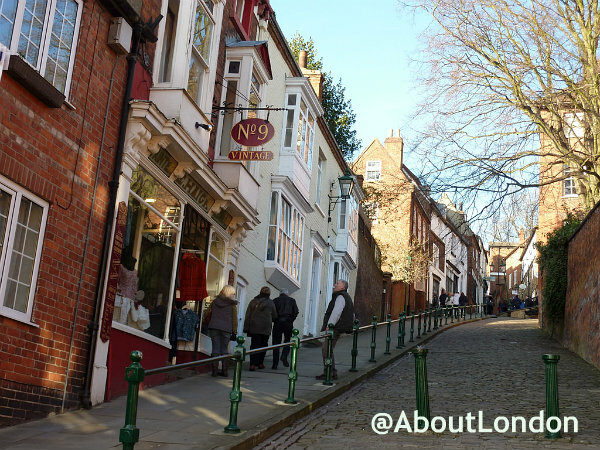 Get around: Lincoln is small enough to walk around but Steep Hill is a big incline so you may want to try the Walk & Ride bus service. 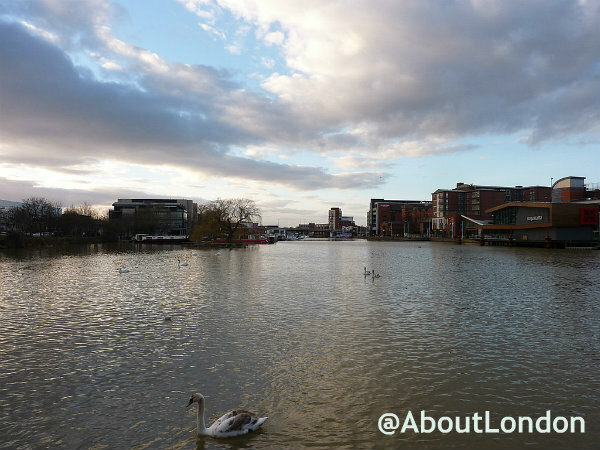 Where to stay: If you want to be near the train station, the Brayford Waterfront has a Doubletree by Hilton and Holiday Inn overlooking the water. There are lots of restaurants there too. 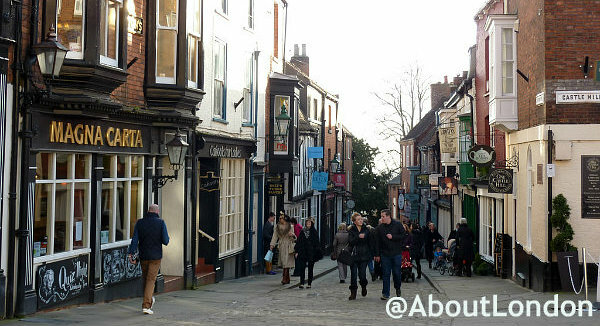 If you’d prefer to be up in the Cathedral Quarter have a look at The Lincoln Hotel or The Castle Hotel. There are also lots of B&Bs in Lincoln with excellent reviews. See Visit Lincoln for a full list. 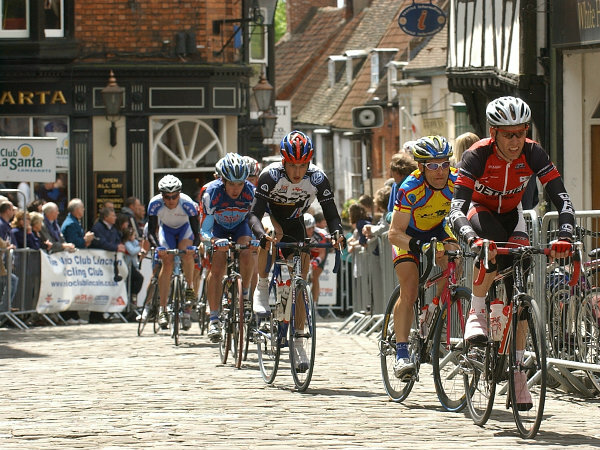 Lincoln Grand Prix in May sees more than 800 professional cyclists racing through the city streets. 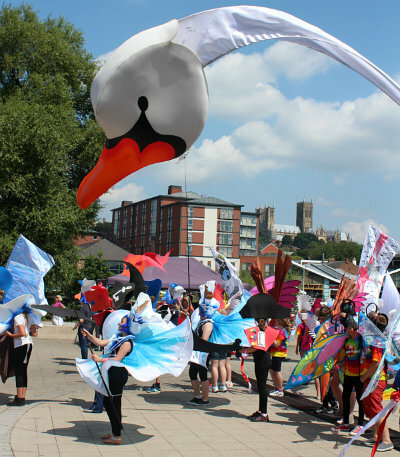 Lincoln Festival in June includes a carnival procession and fireworks. 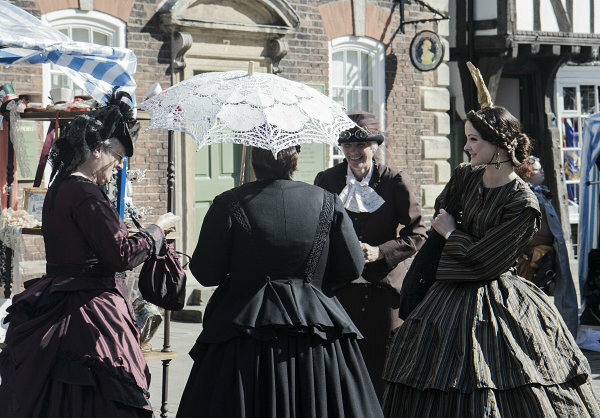 The Steampunk Festival in September is a weekend to see incredible fantasy neo-Victorian costumes worn across the city. 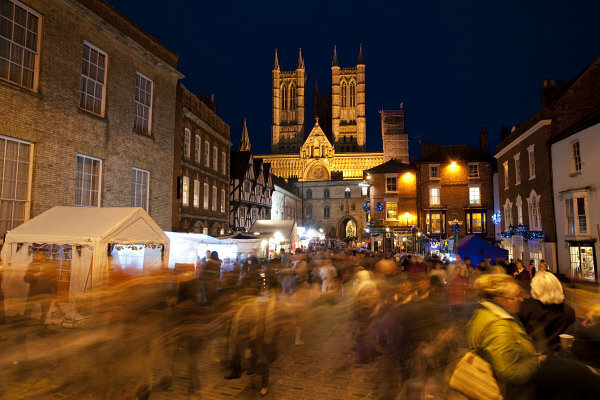 Lincoln Christmas Market is the biggest of its type in Europe and always incredibly popular. All images © VisitLincoln unless stated otherwise. Thanks to VisitLincoln for their help arranging my visit to the city. If you have more time, I’d recommend exploring Lincolnshire and finding out more about its aviation heritage. See: Visit Lincolnshire’s Aviation Heritage. 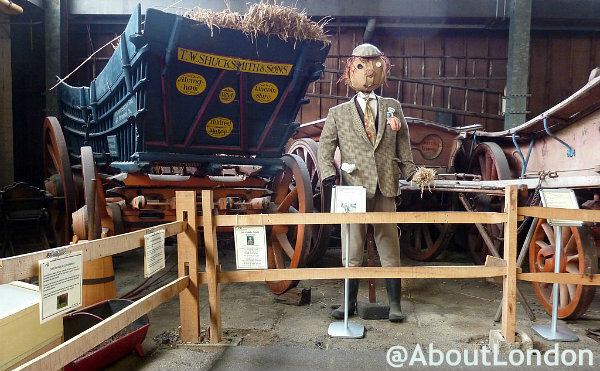 This article was first published on the VisitBritain Super Blog in March 2014. If travelling with children you may also enjoy The Isles of Scilly, Suffolk and South Wales. And these Classic British Children’s Literature Locations are worth considering too.